Experience maintenance free, city living in this luxurious 2 bedroom condo at Cliff View Terrace. 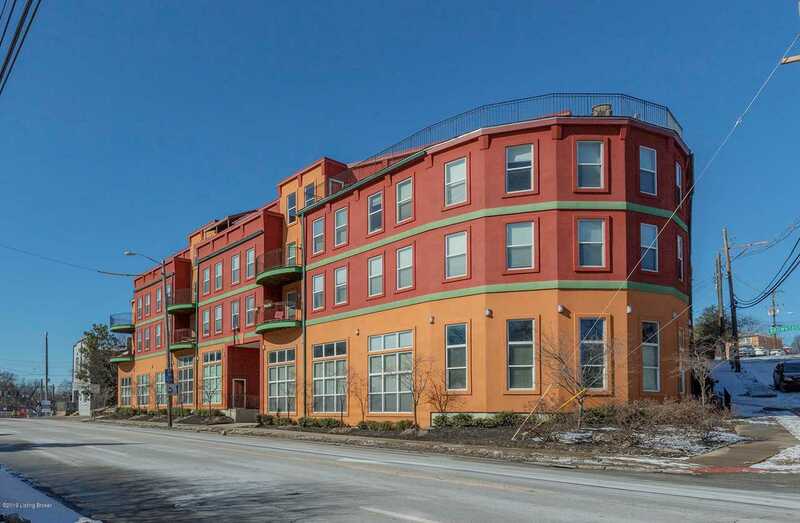 Located minutes from downtown, St Matthews, Frankfort Avenue, and Clifton this modern, open floor plan condo features over 1,300 square feet of updated living space. Opening up to the living room is the spacious kitchen that features stainless steel appliances, granite counter tops, and a built in table top. The living space and hallways feature gorgeous laminate wood like flooring while the cozy bedrooms feature carpet. In the master bedroom you will love the teared ceiling and ''mood lighting'' along with the massive walk in closet and bathroom that features dual vanities. The unit also has a balcony, TWO covered parking spots (with access from the 2nd floor) and a storage unit on the 3rd fl r. Condos with this space, at this price do not last long so schedule your showing today! Directions:Brownsboro Road and Ewing intersection. Park on Idlewood Drive, next to Pat's Steakhouse. SchoolsClick map icons below to view information for schools near 2411 Brownsboro Rd #202 Louisville, KY 40206. MLS # 1523832: This property at 2411 Brownsboro Rd #202, Louisville, KY 40206 is located in the Cliff View Terrace subdivision and is listed for $171,500. MLS # 1523832 has been on the market for 81 days.